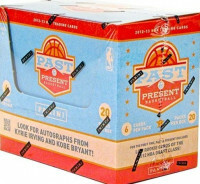 Factory Sealed Panini Past & Present Basketball Hobby Box mit 20 Packs a 6 Cards per Pack. Produktinformationen "2012/13 Panini Past & Present Basketball Hobby Box"
Find vintage base card designs along with cutting-edge print technology inserts! Look for Rookie Cards of Kyrie Irving, Anthony Davis, and Damian Lillard! Past & Present features the return of RAINING 3's along with brand new technology inserts including shoe tread TREADS, and WINNING TOUCH BANNERS! Commons: Printed on card stock to deliver both the look and feel of classic trading cards! Variations: Look for short-printed variation base cards! Raining 3's: Chase an upgraded version of Raining 3s featuring the game's best shooters! Headbands: Get up-close with the look and feel of this unique card that will showcase headshots and player headbands utilizing a felt texture. Modern Marks: Look for the return of Modern Marks with an upgraded design and an expanded player list! Rise N Shine: A Panini original! 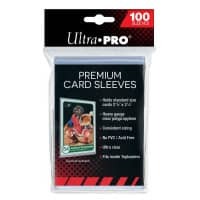 Collect the complete 100-card set! Elusive Ink: Check out the player list, which includes some of the toughest to obtain basketball autographs! Weiterführende Links zu "2012/13 Panini Past & Present Basketball Hobby Box"
Fanbewertungen für "2012/13 Panini Past & Present Basketball Hobby Box"